QTH is surrounded by the coastal mountains in a Sitka spruce forest outside of Valdez, Alaska, ten miles from Thompson Pass. I have installed a TH-7DX and 132 foot offset center fed dipole that are just over fifty feet off the ground, fed by a Yaseau FT-950. Next project is installation of a Heathkit SB-220 and renovation of a Heathkit SB-101. Principle modes are PSK and JT. 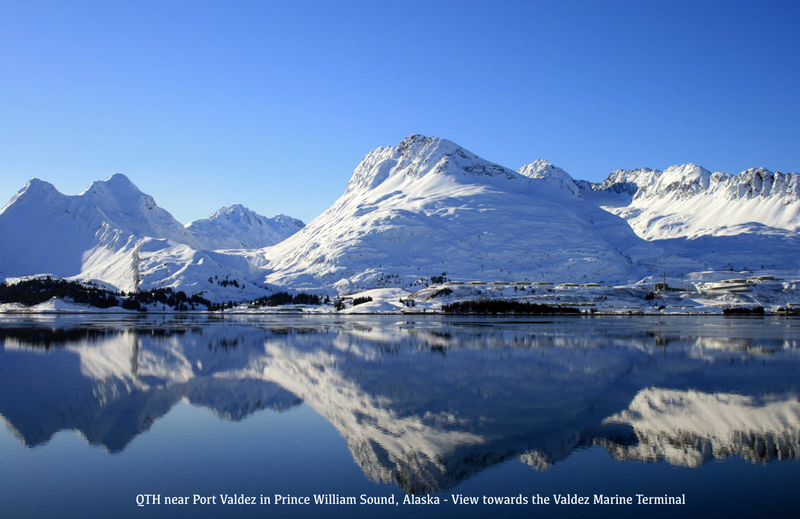 Port Valdez is in Prince William Sound and home of the Valdez Marine Terminal at the end of the Trans-Alaska Pipeline. Valdez receives an average of 325 inches or 27 feet (8 meters) of snow each year. The record snowfall of 560 inches or 46 feet (14 meters) occurred in the winter of 1989/90. Nearby Thompson Pass holds the statewide record of 974 inches or 81 feet (25 meters) of snow. Thompson Pass is the birthplace of extreme skiing. 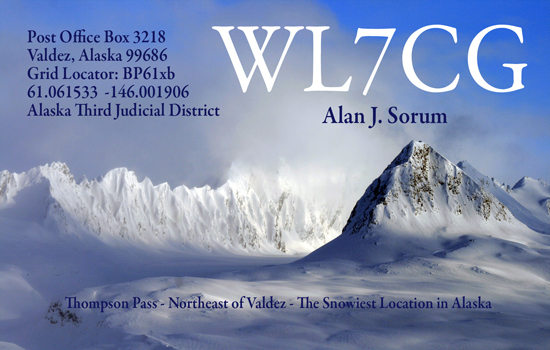 I welcome and return direct QSL cards, use Logbook of the World and good in QRZ.